Haven't been on for a while, havent owned a ford for about 4 years, till last week. Picked this up for what i believe is a pretty damn good bargain, 11/93 OPT20 GLi, one owner since the SA Fire Dept, pristine interior, runs beautifully. Gave it a buff yesterday as it was all chalky and came up like new! Not sure what to do with it, either keep it and daily it or fix the dents and sell it for a bit of profit. I better go through the E series section and come up with some reasons to keep it! Welcome back Alf...that is one hell of a lucky purchase! It looks immaculate and the paint looks like new. Don't see that many clean ones around. Its got a couple dents on the LH Side and a bit of rust in the sills and above the rear wheel arches but apart from that its nice and tidy. 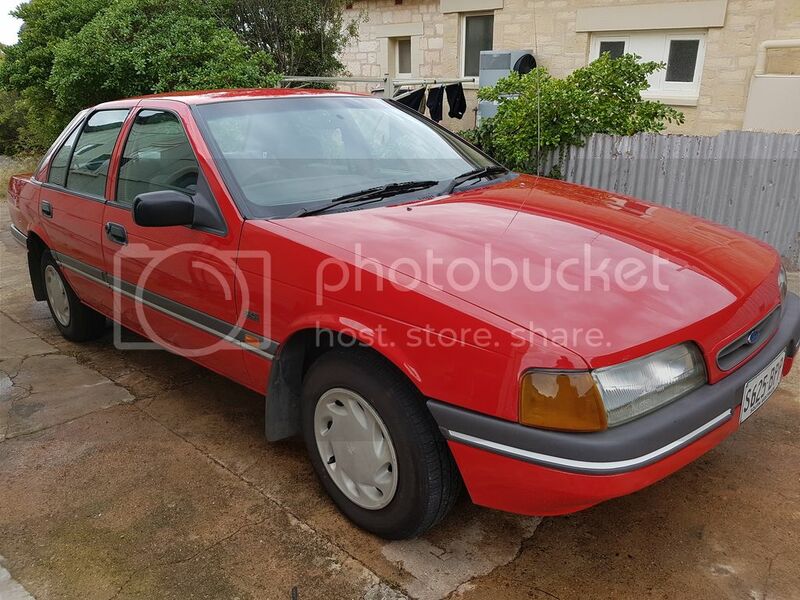 I'll probably end up fixing it up and selling it, i'm going to look at an ED XR6 this arvo which is a supposed good buy, we shall see how that goes! Spray some anti rust on it maybe? That will help slow down the cancer a little. Well it is definitely clean and will most likely sell quickly! Hope the ED XR6 is good . So yes I might have to go and spray some anti-rust in it lol.